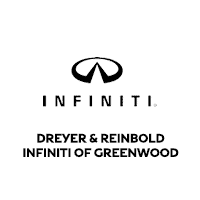 Dreyer & Reinbold INFINITI of Greenwood is your premiere INFINITI dealership in the southern Indianapolis area. We offer quality new, used and CPO INFINITI vehicles, including the Q50, Q60, Q70, Q70L, QX30, QX50, QX60, QX70, QX80 and more, making us the best choice for all of your INFINITI needs in South Greenwood, IN. Our services include trusted INFINITI car repair, original factory INFINITI parts, and financing to help our customers purchase the car of their dreams. Drop by or call Dreyer & Reinbold INFINITI of Greenwood at (317) 708-3606 today!